Summer is great time for desserts. However, I wanted to give them something more than just ice cream or popsicles. There are so many great fruits available, especially in the summer, so I made the kids fruit sundaes! 1. 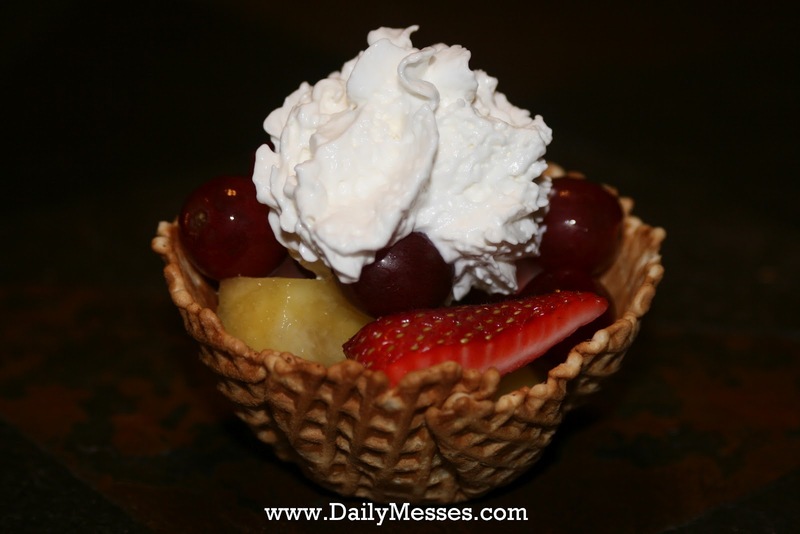 Place fresh fruit in the waffle bowl or waffle cone. 2. Top with a little bit of whipped cream.